Remove the need for unnecessary vehicle movements. Smart street lighting only used when needed. Interact with citizens and visitors via the connectivity provided. Less visits to assets due to remote monitoring of sensors. 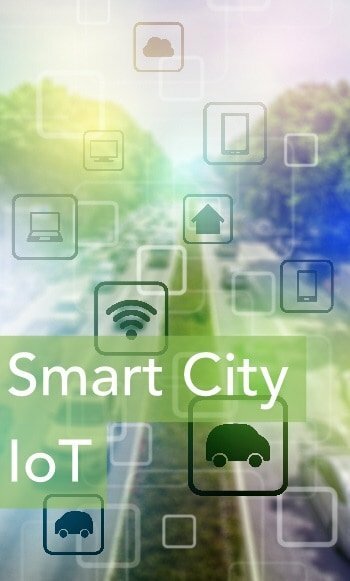 A smart connected city will be a more attractive place to live and work. Connected visitors are easier to reach out to with targeted real-time offers. We believe that to be considered SMART, a coherent approach must be taken by the integration of technology to realise cost reduction, the well-being of residents and visitors and the growth of the local economy. Integration of these key assets is a logical next step. Understanding the way in which different operating frequencies and power levels impact on the capabilities of such a network are also key to a successful deployment and we are fully versed in all matters relating to radio transmission principles. In the case of a Smart City or Town, we have extensive experience with the more familiar and widely-utilised licenced, de-regulated and Wi-Fi frequencies and the much less well-known LoRaWAN frequencies, which are available for use in the UK Market. To find out more or discuss your potential requirements contact us.